Functions & Complications Flying tourbillon at 9 o'clock Main dimensions. Dimateter 13 ¼” (30.00 mm) Thickness of 3.4 mm. Indications. Hours, minutes, small seconds. Power reserve 48 h. Number of components 160. Jewels 22. Frequency 3 Hz (21’600 A/h). Type of balance Variable inertia with gold inertia blocks. Type of balance-spring Flat. Chronometry Variable inertia balance. Tourbillon. The fine written details which are made after the bridges are produced by chemical eching. The tourbillon cage and its bridge assembled and removed from the main movement. 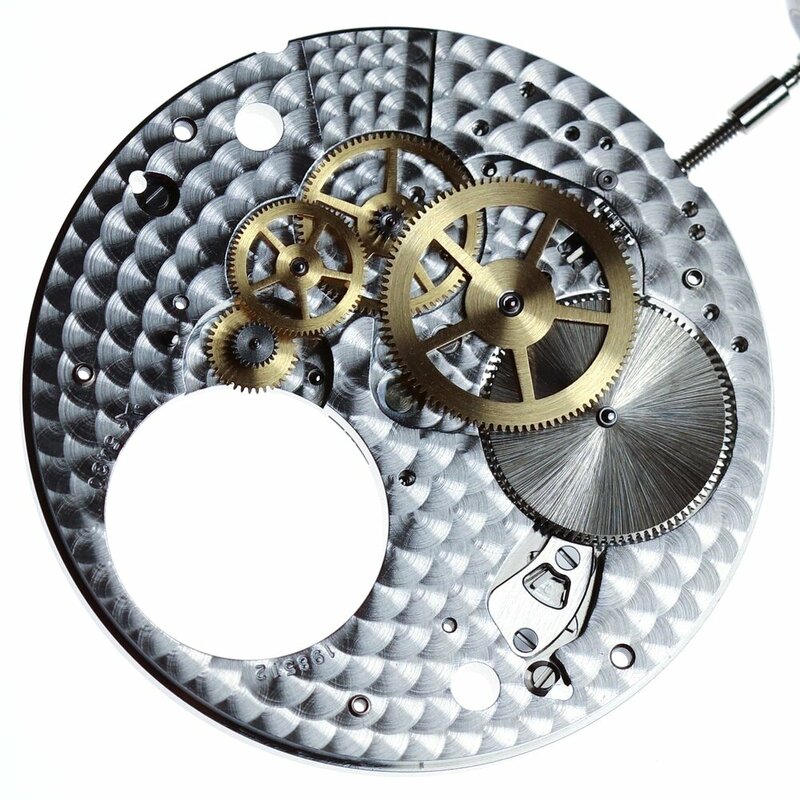 The assembled tourbillon cage separate from the movement. The version of the 5430 on the left is made in titanium and gold. 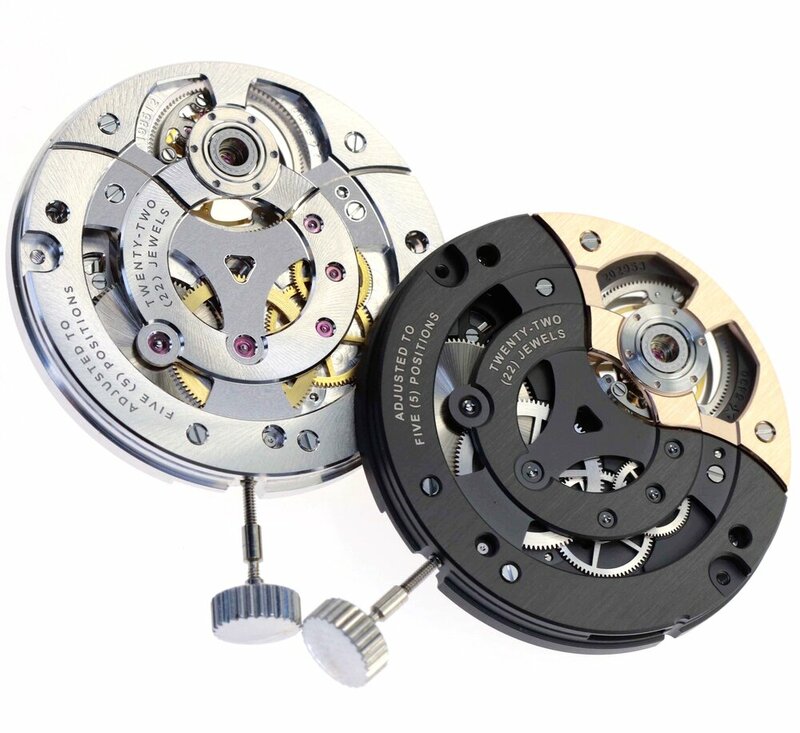 Titanium is a more complex material to make bridges from compared to brass or German silver which are traditionally used in watchmaking, but lends itself to the more modern design of this calibre and the black PVD surface finish. A partially exploded view of the movement, the setting mechanism and cage remain fully assembled.